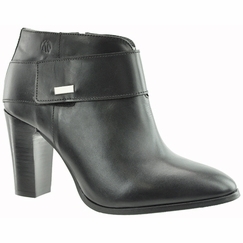 If you've been searching for wide fit ankle booties, you've FINALLY come to the right place at WideWidths.com! Although other sites claim to have wide fit ankle boots, you may already have found that they did not come close to fitting you. We are the only company on the internet to offer extra wide fit women's leather ankle high booties that actually have EXTRA WIDE ANKLE SIZES! 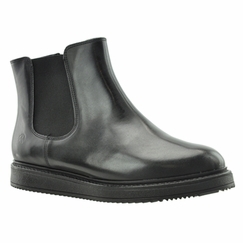 Our custom made private label wide fit ankle boots are made of the finest excellent quality calfskin leathers and they have ankle circumferences of approx. 11.2 inch ankles (for a size 6WW) to 13 inch ankles (for a size 13WW). We are proud to be the first company to offer you the latest in high fashion ankle booties that will update your wardrobe and that can be dressed up or down to wear with any of your favorite looks. Happy shopping! Extra Wide Fit Ankle Booties - Top Opening Sizes: 6WW - 11.2 inches; 7WW - 11.5 inches; 8WW - 11.7 inches; 9WW - 12 inches; 10WW - 12.2 inches; 11WW - 12.5 inches; 12WW - 12.8 inches; 13WW - 13 inches.